Amazon has Hasbro Monopoly Gamer Collector’s Edition for $18.67 (Reg $40) with FREE Shipping. This offer is exclusively for Amazon Prime Members. 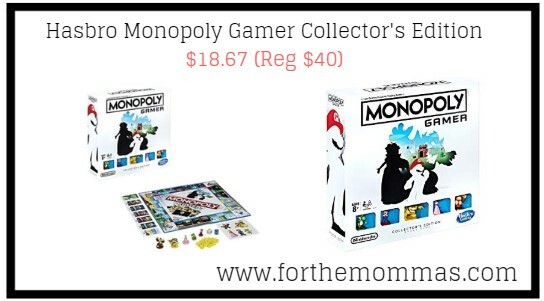 This Monopoly Gamer Collector’s Edition game is an awesome gift for gamer fans! It includes a 25-page game guide, featured within a colorful character booklet that includes stickers, bios about each character, Nintendo artwork, and a roster to show off which characters have been collected.